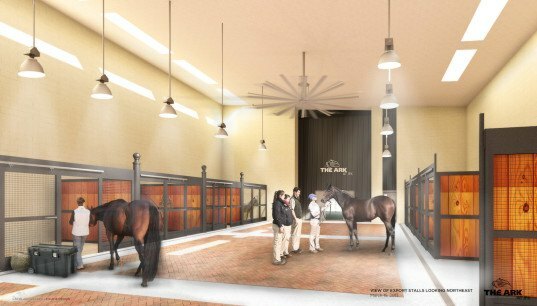 A luxury animal terminal is coming to New York’s JFK airport, and it’s going to make most people’s airport experiences seem pitiful in comparison. 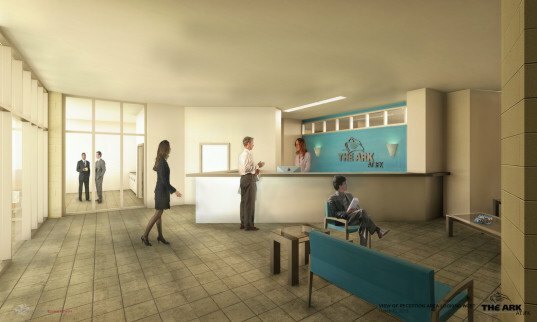 The $48 million addition will boast bone-shaped swimming pools, massage therapy and spa services, climate-controlled showers, and even—no joke—“pawdicures with colored nail pawlish." Fittingly named ‘The Ark’ after Noah’s biblical vessel, this swanky animal daycare and hotel will handle over 70,000 animals annually, from jet-setting pets to livestock, and even more exotic creatures like aardvarks, zebras, and penguins. Construction has already begun on the 178,000-square-foot Ark, which will replace the 10,000-square-foot VetPort, an underperforming facility that dates back to the Eisenhower administration. International architecture firm Gensler is behind the design of the opulent new shelter and quarantine, and will collaborate with other firms like Gralla Equine Architects. There will be a $50 per night fee for entry-level pet accommodation. For $100, dog-owners can reserve a “top-dog suite” that includes a human-size bed for the dog, a flat-screen TV, a webcam, and a bedside photo frame for a family portrait. 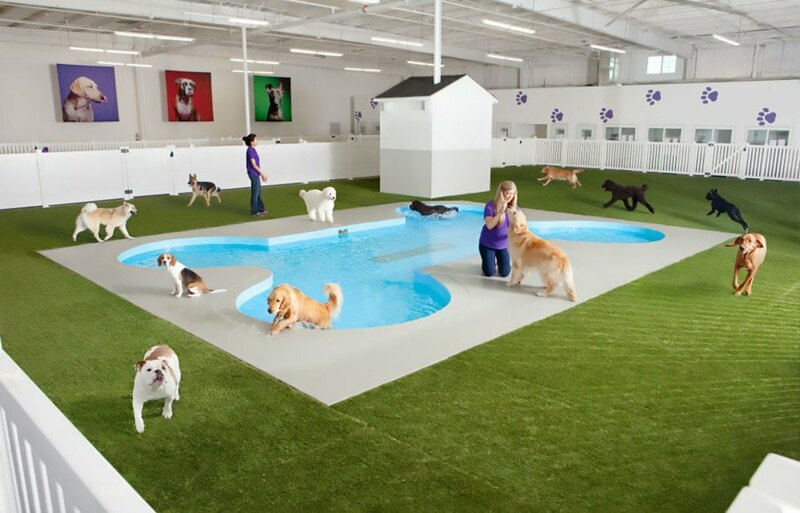 In addition to the luxury hotel suites and a 20,000-square-foot Paradise 4 Paws “resort,” dogs will have access to an AstroTurf park with a bone-shaped pool, while feline guests have free rein over the Cat Adventure Jungle’s custom-made climbing trees. According to Crain’s, the Port Authority expects to collect a whopping $5 million in annual rent over its 27-year lease. Aside from more conventional pets, the Ark can also house up to 70 horses and 180 head of cattle in hay-lined stalls. There will also be an aviary, holding pens for other livestock and animals, and even a space reserved for penguin mating. A 24-hour onsite clinic run by Cornell University’s veterinary college will tend to animal health. “A lot of our design making is in collaboration with veterinarians and consultants to help minimize the amount of stress placed on the animal,” said lead architect Cliff Bollman of Gensler. “It will be a place for people who love their pets like they love their kids. Maybe more.” The Ark began construction in May and is slated to open next year. There will be a $50 per night fee for entry-level pet accommodation. For $100, dog-owners can reserve a “top-dog suite” that includes a human-size bed for the dog, a flat-screen TV, a webcam, and a bedside photo frame for a family portrait. Aside from more conventional pets, the Ark can also house up to 70 horses and 180 head of cattle in hay-lined stalls. There will also be an aviary, holding pens for other livestock and animals, and even a space reserved for penguin mating. A 24-hour onsite clinic run by Cornell University’s veterinary college will tend to animal health. According to Crain’s, the Port Authority expects to collect a whopping $5 million in annual rent over its 27-year lease. International architecture firm Gensler is behind the design of the opulent new shelter and quarantine, and will collaborate with other firms like Gralla Equine Architects. The Ark began construction in May and is slated to open next year.